permanent resident, as stated on their Confirmation of Permanent Residence document. Accompanying dependent children or those who may have been sponsored by persons under the condition were also subject to a conditional permanent residence. On April 18, 2017 the Government of Canada cancelled Conditional Permanent Residence. This means that conditional permanent residence no longer applies to anyone. What happens as an effect? you were sponsored by someone who had conditional permanent residence (i.e. child or parent). You don’t need to do anything. We just want you to know. 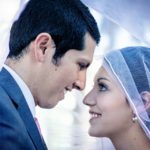 If you receive your Confirmation of Permanent Residence on or after April 18, 2017 and it indicates that you “must cohabit in a conjugal relationship with your sponsor or partner for a continuous period of 2 years after the day on which you became a PR”, this requirement no longer applies to you. Immigration, Refugee, and Citizenship Canada announces individuals who were previously under investigation for not complying with the requirement to live with their spouse or partner are no longer under investigation. In Canada, abuse is not tolerated. If you are a sponsored spouse or partner and are experiencing abuse or neglect by your sponsor or their family, you do not have to remain in that abusive situation. Find out how to get help. This entry was posted in Immigration News. Bookmark the permalink.